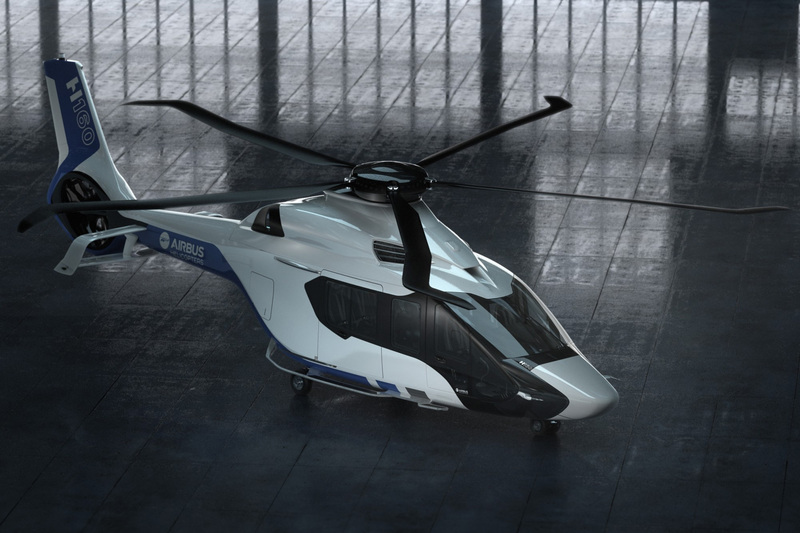 Say hello to the new Airbus H160 helicopter. 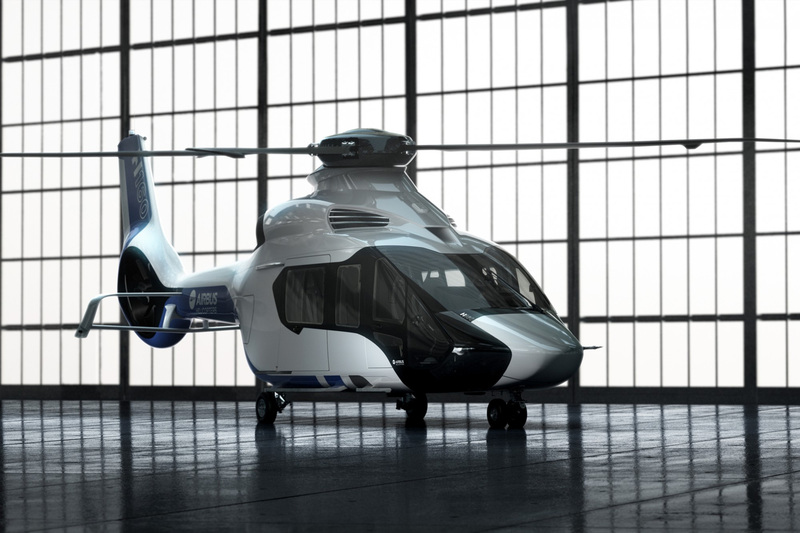 The H160 is the first member of all-new “H” family that has been unveiled at Heli-Expo trade show. The entire design is based on the goal to create added value for customers in terms of performance, economic competitiveness, safety and comfort. 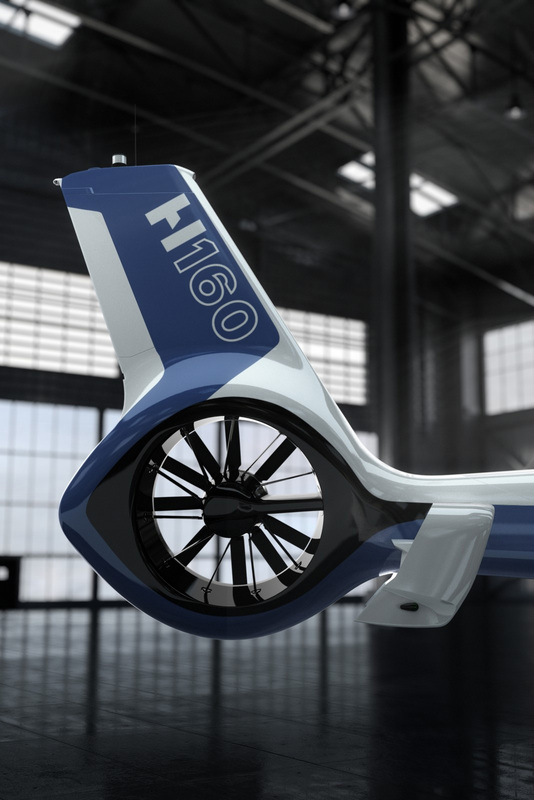 The new H160 offers some radically new design features, such as so called “Blue Edge” rotor blades, that provide increased performance, more passenger comfort because of decreased vibrations and less noise emissions. 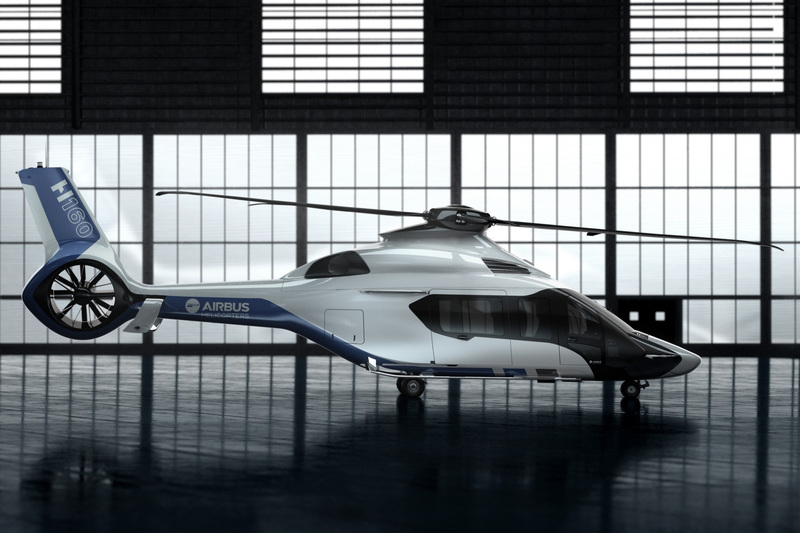 The H160 also features a full composite airframe that contributes to the robustness of the aircraft. A next generation turboshaft engine provides more power than previous generations with reduced fuel consumption and CO2 emissions. 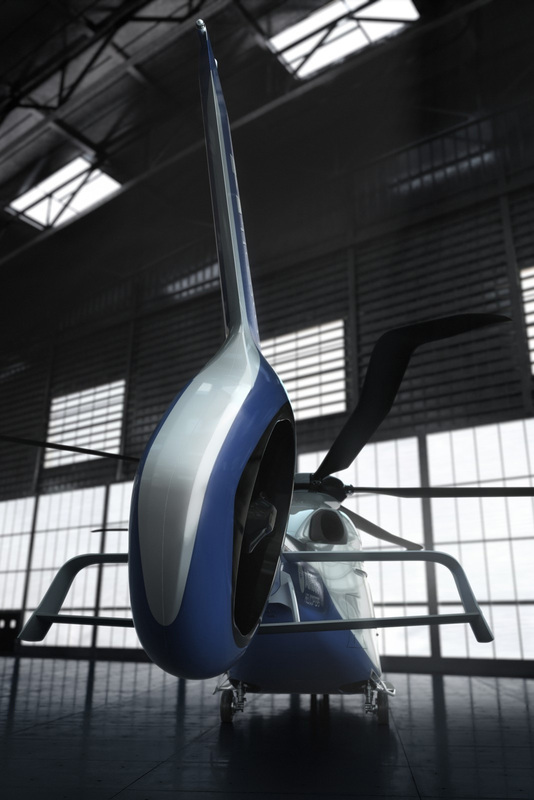 The so called “Biplane Stabilizer” located near the new canted Fenestron tail rotor offers improved performance, better handling and more agility. The electrical landing gear has been designed to allow more payload and to simplify maintenance. That looks REALLY sleek! I really like the design, but I’m also interested in all of the features it’s going to be offering. Seems like an interesting turn for helicopters if it works how it’s advertising it will.